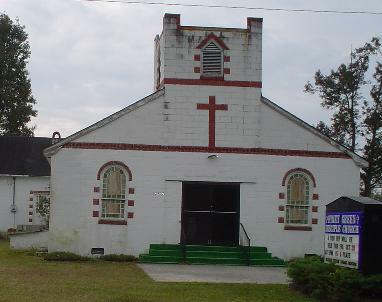 First and Third Sundays, 11:00 a.m.
Piney Green Disciple Church was organized in 1896. Church committee was Smith Cox, Haywood Troublefield, and Hinton Darden. The first worship services were held under a brush shelter. In the early 1900's, the first building was built under the leadership of Rev. J. W. Raynor of Goldsboro. Under the leadership of Rev. S. A. Dais, the church moved into the present building in 1953.